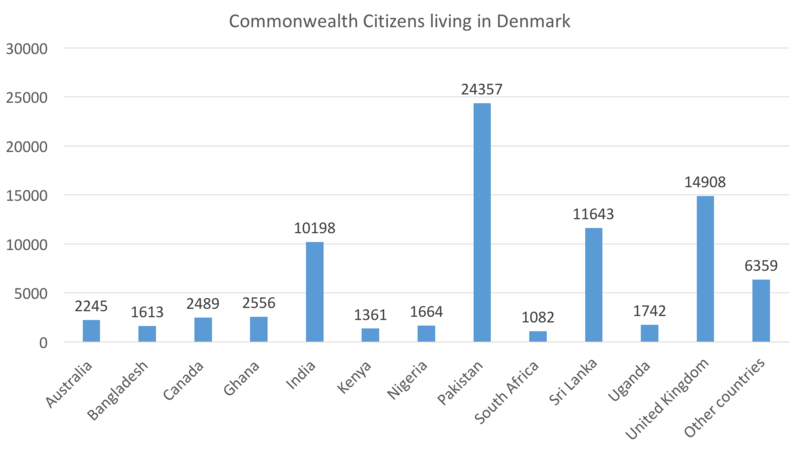 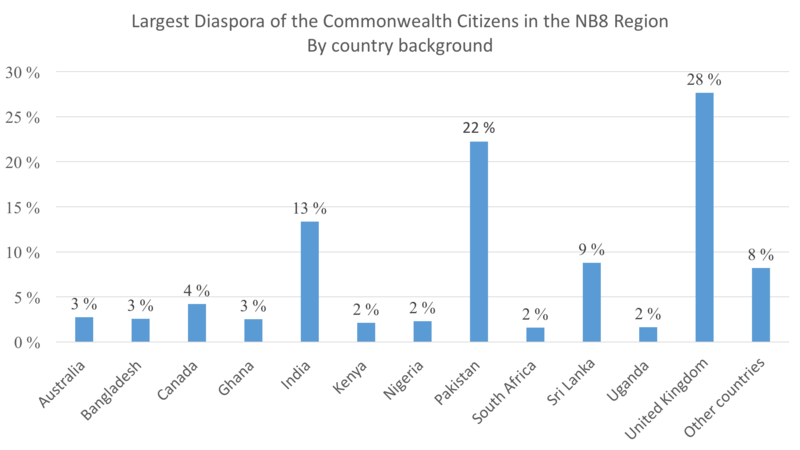 The Nordic-Baltic region is home to over 350,000 Commonwealth citizens, 28% of which (or 95,000 people) are from the UK, followed by Pakistan (22%) and India (13%). 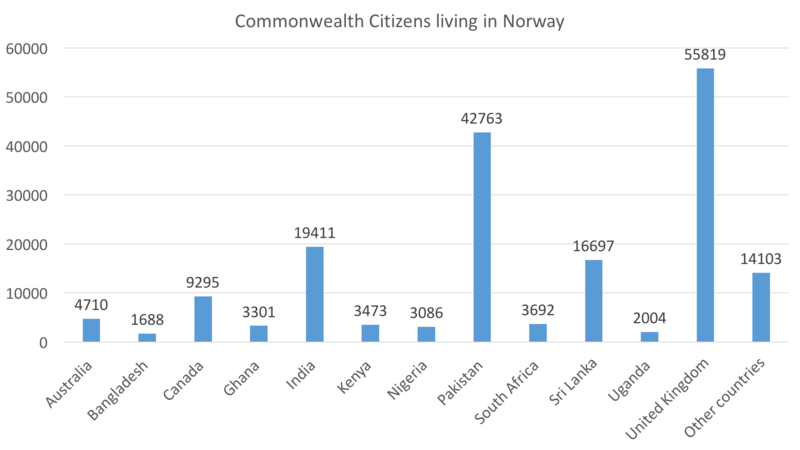 The biggest population of Commonwealth citizens in the Nordic-Baltic region is living in Norway (180,042 people), this also includes 2nd and 3rd generation citizens. 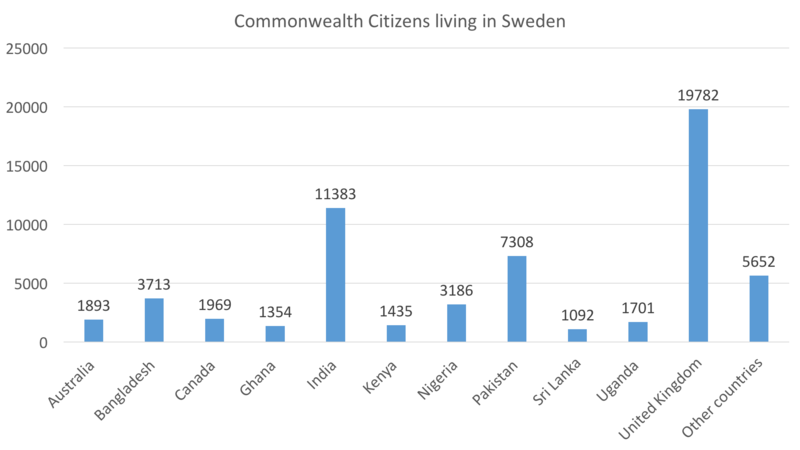 Official data as of 2017 has only been provided by Denmark, Finland, Norway and Sweden. 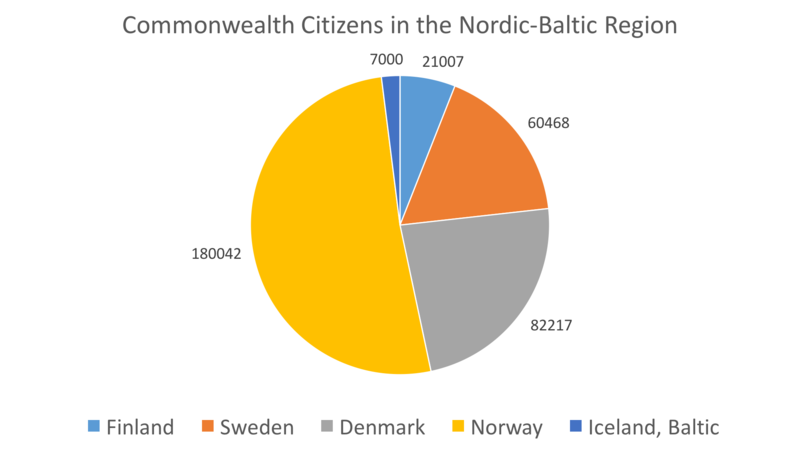 Information for Estonia, Iceland, Latvia and Lithuania will be coming soon. 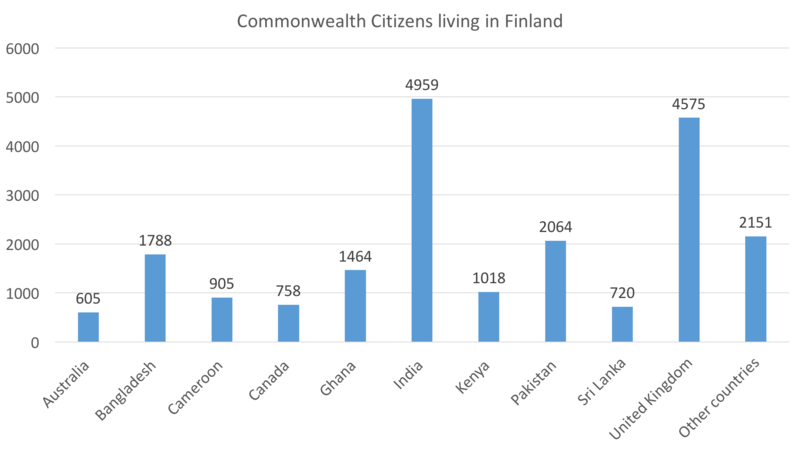 Click any chart to enlarge it.